Shortly after the initial Mac OS X 10.7.3 Beta build was released to developers, Netkas noted that he had found traces of new video drivers for an upcoming AMD graphics card. The site lists a series of function names referencing the codename "Tahiti". "Tahiti" is the codename for AMD's upcoming 28nm desktop graphics cards which are due in January 2012. The new Tahiti series should end up with Radeon HD 7xxx branding and as it will come in XT and PRO flavours. It’s kind of safe to assume that Radeon HD 7970, codename Tahiti XT will be the fastest single chip card from AMD while the Radeon HD 7950 will be codename for the Tahiti PRO product. The presence of these drivers suggests that Apple will release the aforementioned graphics chip with the next-generation Mac Pro. 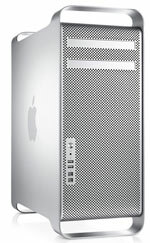 The Mac Pro is the only Mac-series, which are used in desktop graphics chips. In all other Macs GPU Mobile versions can be found. While it's possible Apple could just be building in support for existing Mac Pros, that's not the way Apple usually works. Apple typically introduces new graphics card support alongside each new product revision. Unfortunately, even if the presence of these drivers proved that Apple had been working on a new Mac Pro, it still doesn't mean Apple will be releasing them. The previous rumors have suggested that Apple had already developed a new version of the Mac Pro but the company wasn't sure if they were going to release it. The expected January release of the new AMD graphics cards do line up nicely with the Q1 2012 expected availability of suitable Intel Xeon chips for the new Mac Pros. Apple last updated the Mac Pro over 15 months ago in July, 2010. Even the 3GS has outsold most newer Android models. Apples iPhone 4 was the top selling phone in the world for its entire reign at the top of Apples iPhone product line, but according to market research firm NPD, even Apples iPhone 3GS outsold every Android smartphone on the market. I'm so glad we can pollute the one mac pro article on here with more iPhone talk. It's a refreshing change of pace from all the other iphone talk. The "Pro" niche that uses these workstations is dying out. As more and more power is fit into smaller and smaller form factors, there is less need for these aluminum monstrosities. They can (and are) gradually being replaced by more cost-effective, smaller and more compact devices that are slowly (and already are) taking over the tasks formerly the specialty of these big boxes. This was an inevitability. All you need to do is keep an eye on the long-term trends. They can still produce them without them being their main priority. Apparently they still see the line as being able to generate a profit. The point of the thread about a month ago regarding the possible discontinuation of the line was that it wouldn't be particularly surprising (and certainly understandable) if that was to occur. Explain to me why the iMac NEEDS a redesign. The current design is still beautiful. Yeah, so they say that a beta version of 10.7.3 contains drivers for a GPU with the code name "Tahiti", which apparently is or will be the Radeon 7950 desktop GPU. The article goes on speculating that this will be the GPU in the next Mac Pro, given that all other apple computers use mobile GPUs. They say that a Mac Pro update is expected early 2012, mention the Xeon E5 as CPU and the possibility to have up to 16 cores (2x8), and say that possible other upgrades could be Thunderbolt (obvious), Bluetooth 4.0 and USB 3.0. The same thing happened after two of my iMac purchases. We don't actually know when Mac Pros will hit final production, what will happen when they will, or it might never happen and the line will get a serious redesign or whole re-thinking. But you can bet all your Apple gear that Mac Pros are way down the priority list for Apple. The line doesn't can half as much as it used to, primarily because the market has changed. The only thing that's for certain *LTD* is that you'll be banging the fanboi drum and proclaiming that Apple were absolutely correct, whatever happens. Are you kidding me? I would HATE to be tethered to a ball and chain Mac Pro again. As a professional I have found my MBP to be the best at power and portability. I can take my work with me, work with clients at their location, and if I need anything extra (larger display, backup, raid, etc..) I can plug them in back at my office. The days of having a flat/office with a big ole honking computer are gone. If you are not mobile and in the field your competitors are going to eat up your clients. It's amazing to me that people can make statements like this. This guy is going is going to have us think a 3D artist is going to be knocking out millions of polys on a laptop and still make deadlines? Also, not everyone has to be mobile... why do you think that? You know, there's this funny thing called the internet through which a lot of people communicate. And who says you can't have both a Desktop and a laptop? Most serious content developers have both anyway. I think its about time that Apple change their design. Big box systems are getting long in the tooth. Surely Apple can design something just as powerful, expandable, and with a smaller footprint. I honestly don't care how large the box is, as long as it's quiet and has enough space to have plenty of hard drives etc., and stays cool. I think the current Mac Pro box is one of the best computer housings ever. About $80 billion in cash on hand and a successful vertical business model in a sea of low-margin volume-peddlers says they've been absolutely right so far. Apple has been the only one going against conventional business thinking for years while profiting obscenely the entire time. Microsoft profits obscenely...what exactly are you talking about? Apple makes their money via targeting a very small portion of the market and charging a gross premium on what they offer. They sell a tiny share of the total phones in the market and have most of the profits. Can you not put 2 and 2 together and realize they are making massive margins on a relatively small number of people? There are tons of successful companies in the tech industry. You talk as if Apple is the only one doing well, while the rest of the industry is a wasteland. That is far from the reality however.